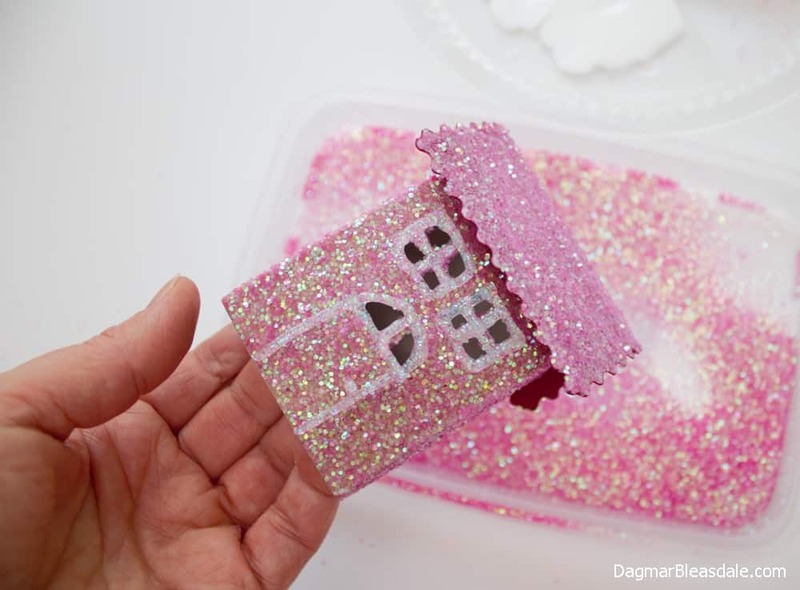 I wanted to make something out of the toothpaste box, and for some reason glitter houses came to mind. They are also called Putz houses, and are often used for Christmas decor. 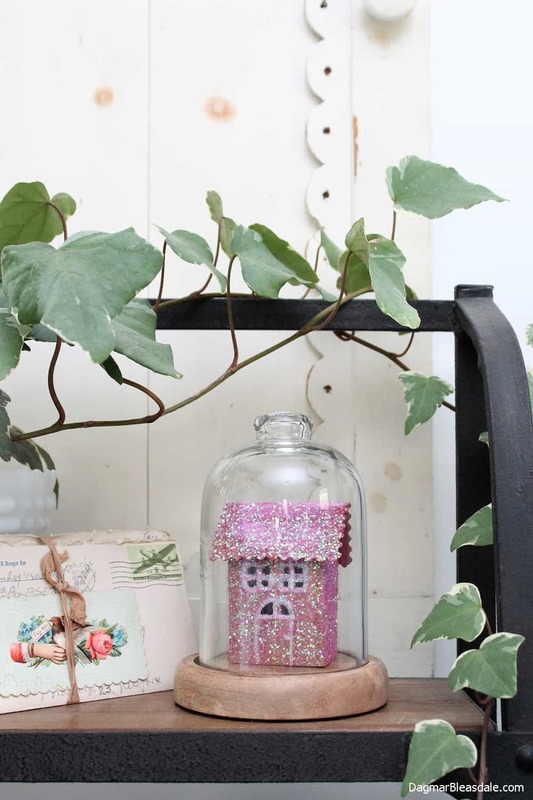 I wanted to make some for spring decor, so I used pink glitter. 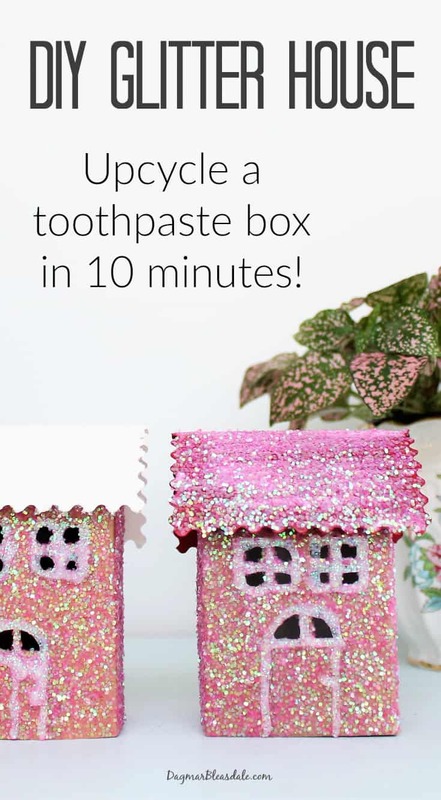 I’ve seen tutorial for them that involve having to print and cut out a plan, but I just cut the toothpaste box in half, turned it inside out, cut out some windows, and added glitter. Here is the full tutorial. 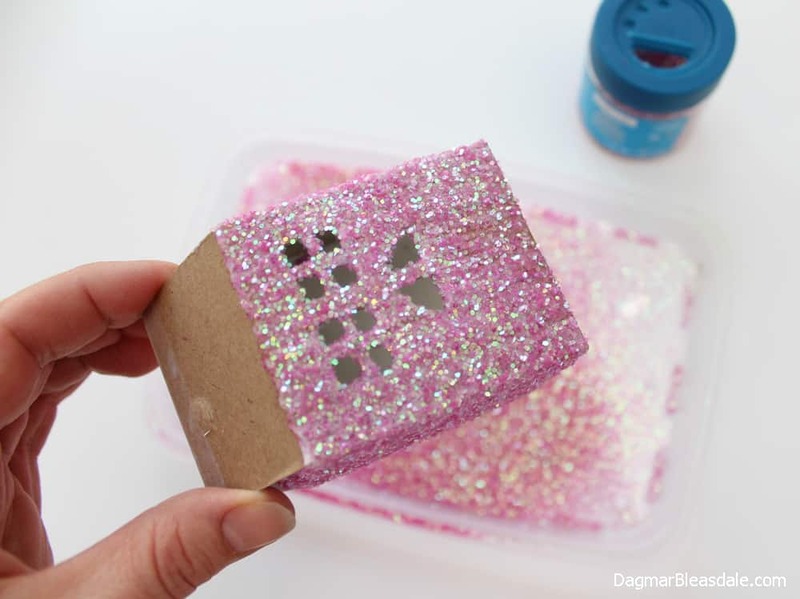 Since you are starting out with an upcycled box, it actually takes less than 10 minutes to make one glitter house. 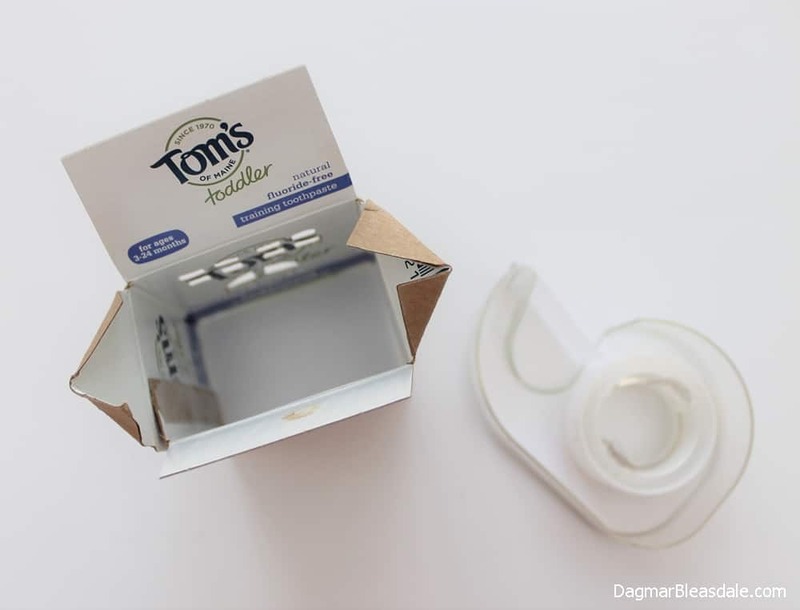 Open up the toothpaste box and cut it in half to make two houses. 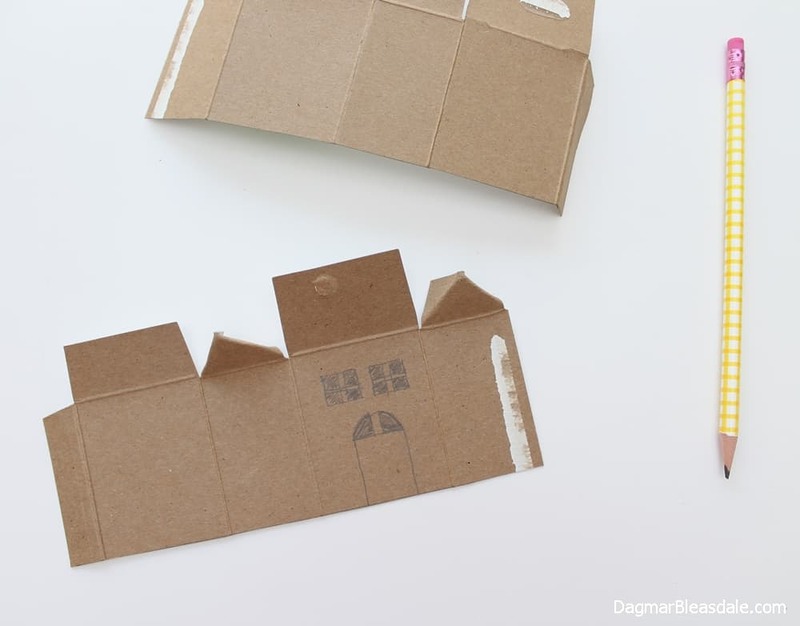 Draw windows on the cardboard. They don’t have to be perfect – I simply hand-drew them. 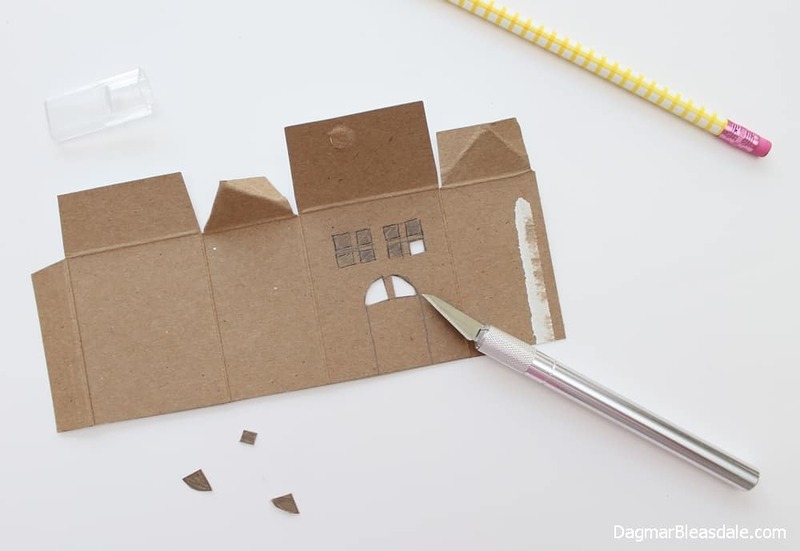 Cut out the windows with the X-Acto knife. Bend the small tabs on the top into triangles – they will be pushed under the roof when the two larger tabs get taped together. 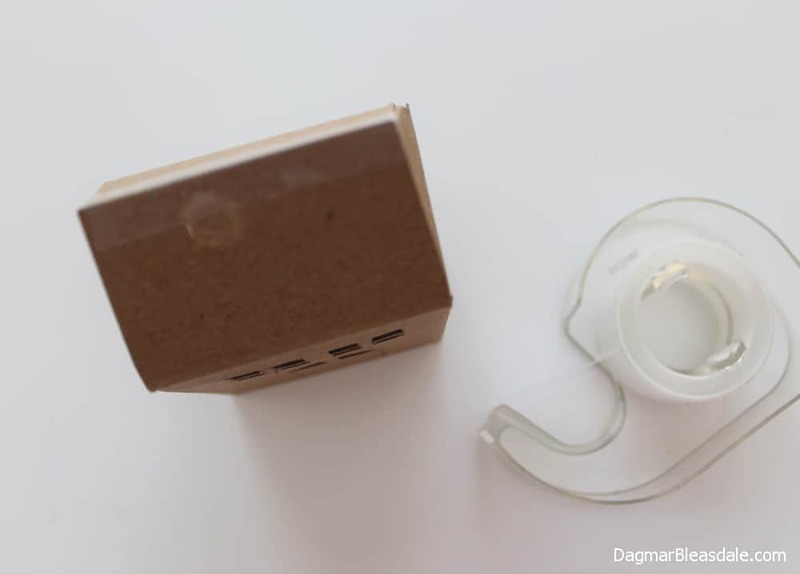 Then put glue onto the side tab and glue the box back together – inside out. I also added a piece of tape on the inside to hold the box together. As you can see, the writing of the toothpaste box shows through the windows, so I decided to cover it with white cardboard that I glued over it, but you don’t have to. 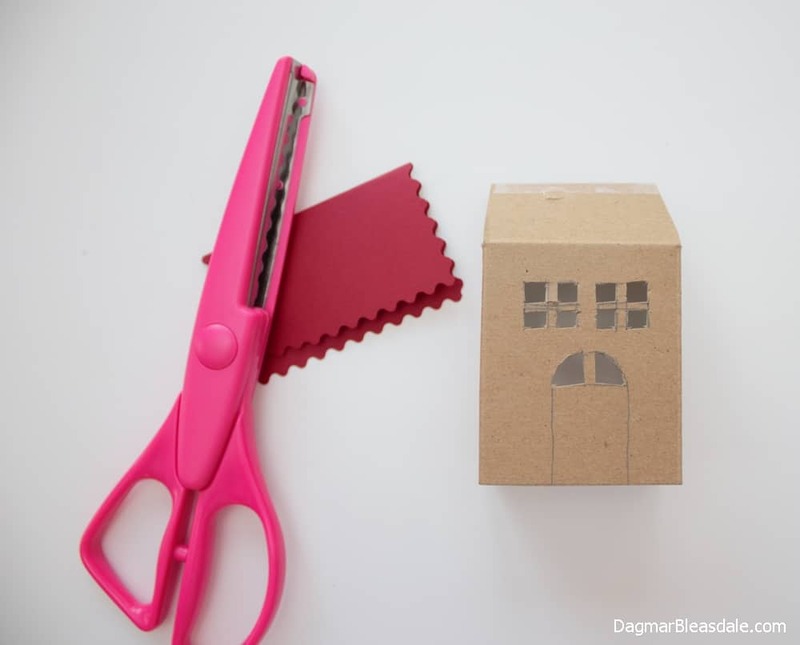 Now push the triangle tabs toward the middle of the box while you tape the top together to form the roof. 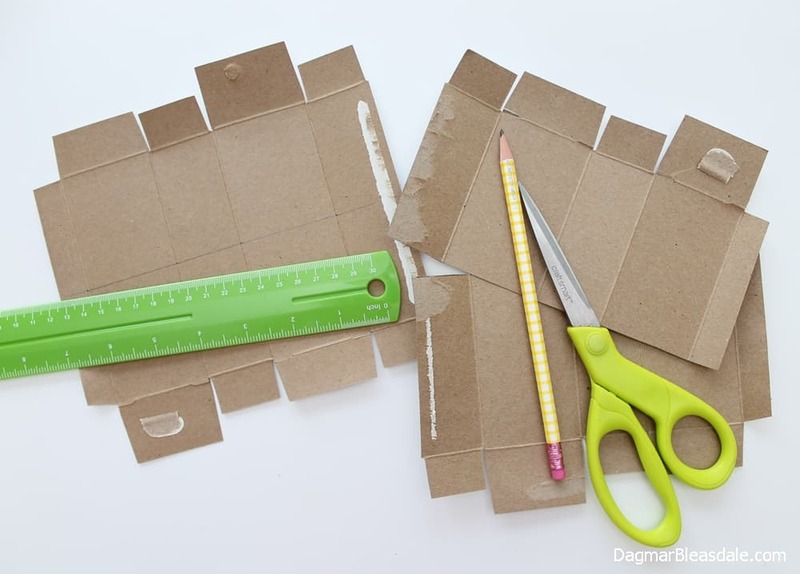 Cut a roof out of cardstock or reuse another box. Make it wider than the house so it hangs over the house a bit. I happened to have scissors with scalloped edges, but they are not necessary. 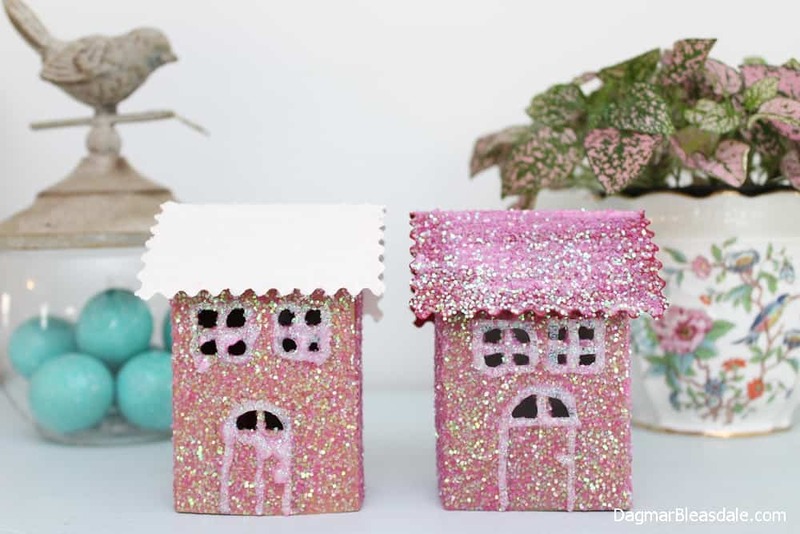 Next, hold the house by the roof, paint glue on the house, and add the glitter. 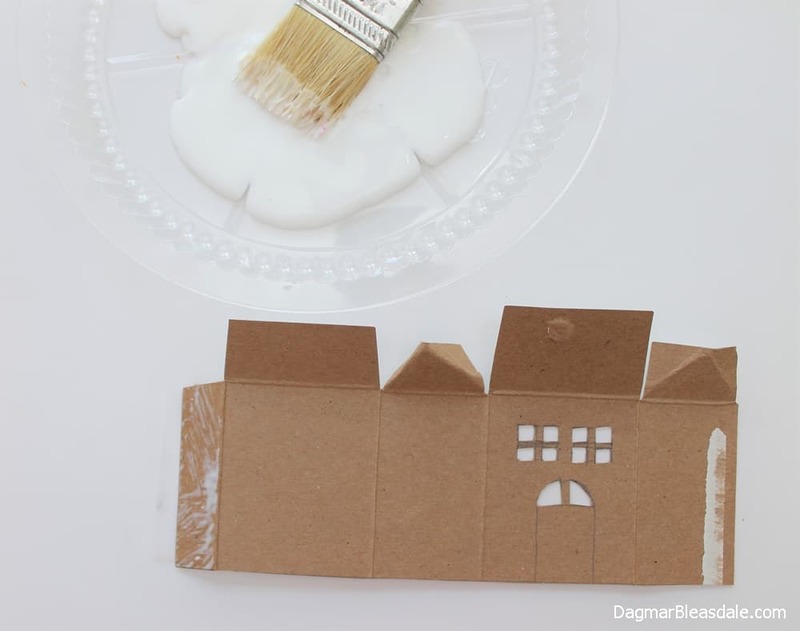 Glue the roof onto the house and let it dry for a minute. Finally, put glue over the roof and add glitter. 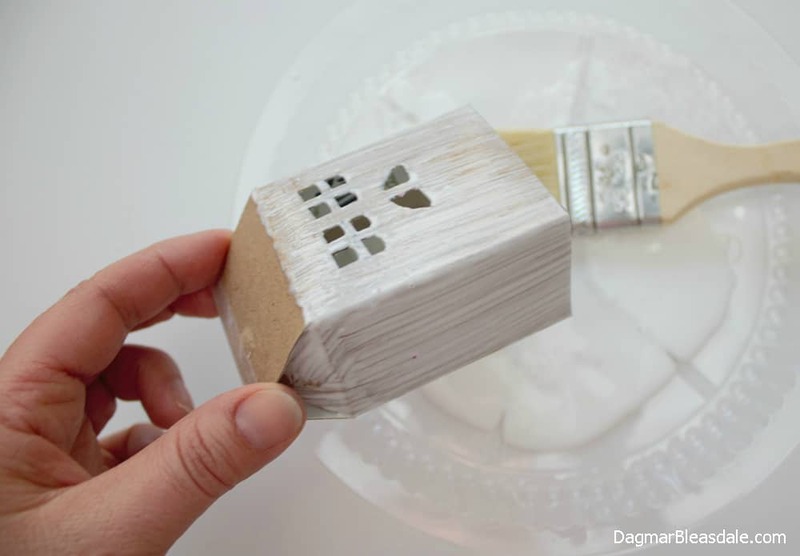 Instead of cutting out little window frames and a door, which you could add, I made things easy by tracing the windows and door with white glitter glue. 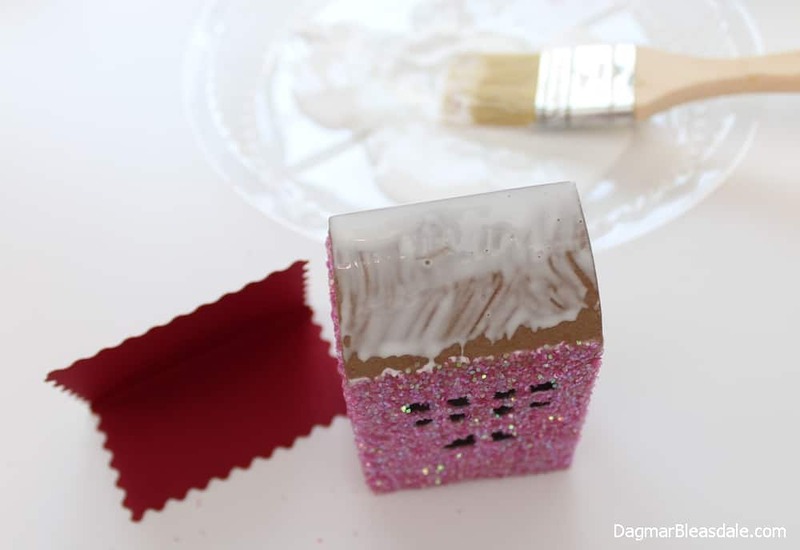 And there you go: easy DIY glitter houses that started out as a toothpaste box! We can all help to keep waste out of landfills and make the world a better place for future generations. Even a little DIY upcycling project helps out. May I suggest a little upcycling project? 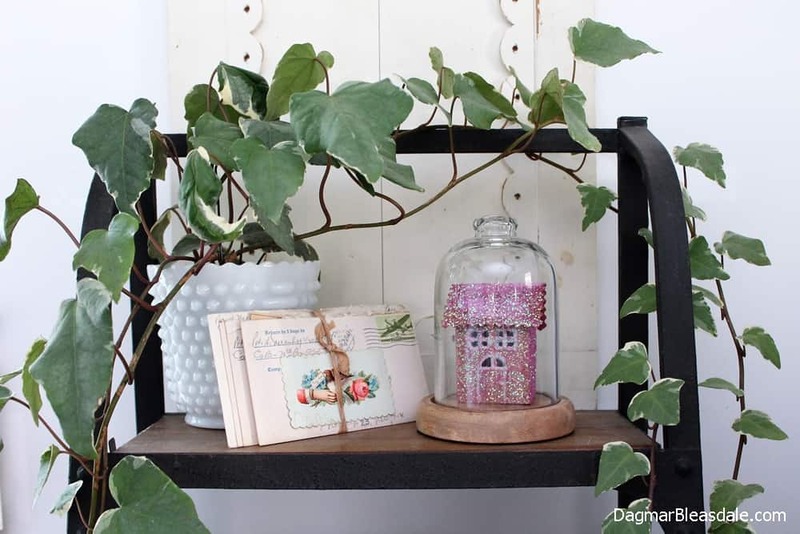 You can make so many amazing things with reused packaging material. 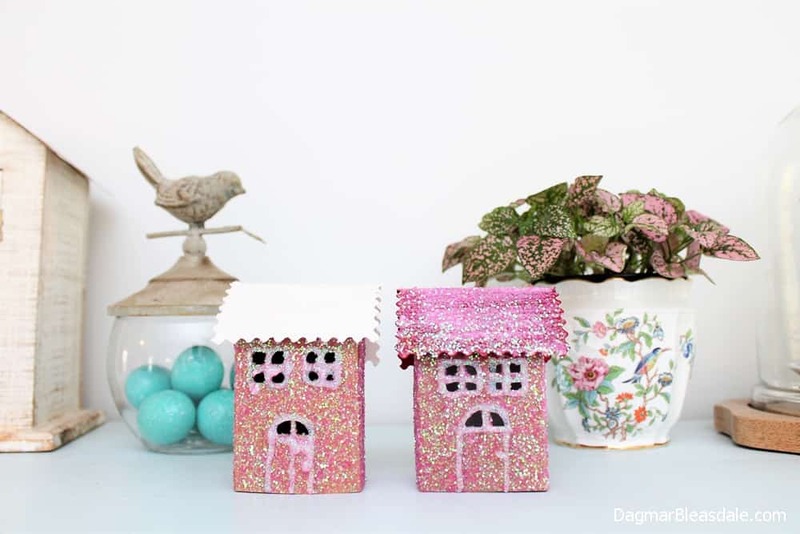 I love those little houses, dagmar! I’ve wanted to make putz houses since i saw some i liked last christmas on a couple blogs I read. So this is a great little tutorial. And I am totally on board with recycling and re-purposing and reducing waste. 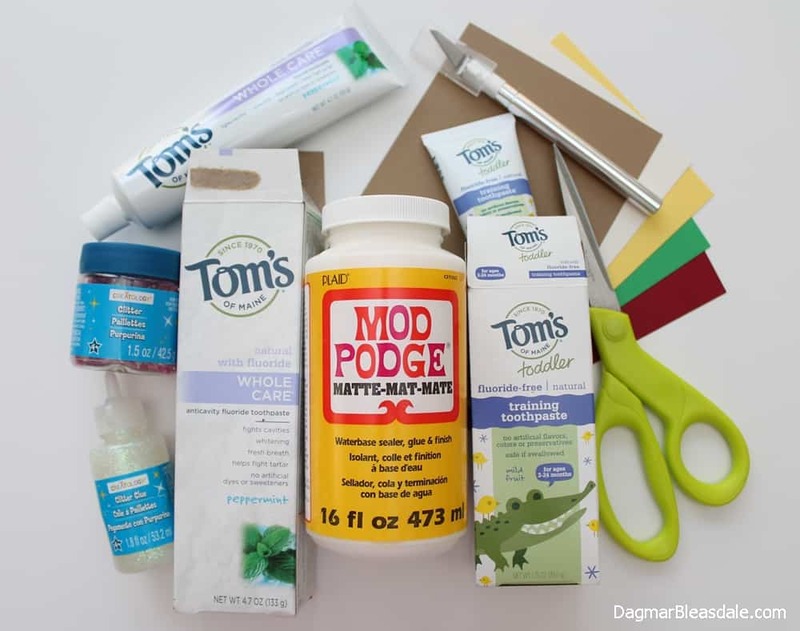 So now I’ve gotta get to the store and buy some more tom’s because I have recycled the boxes from my earlier purchases of the toothpaste! So glad my post inspired you, Naomi! It’s a lot of fun to make these.